Congratulations to Carl buck for wining the Thursday Evening Regatta. A beautiful Summers Evening saw the racing start in the dry only for the sky to open with torrential rain some what reducing the visibility of the marks. 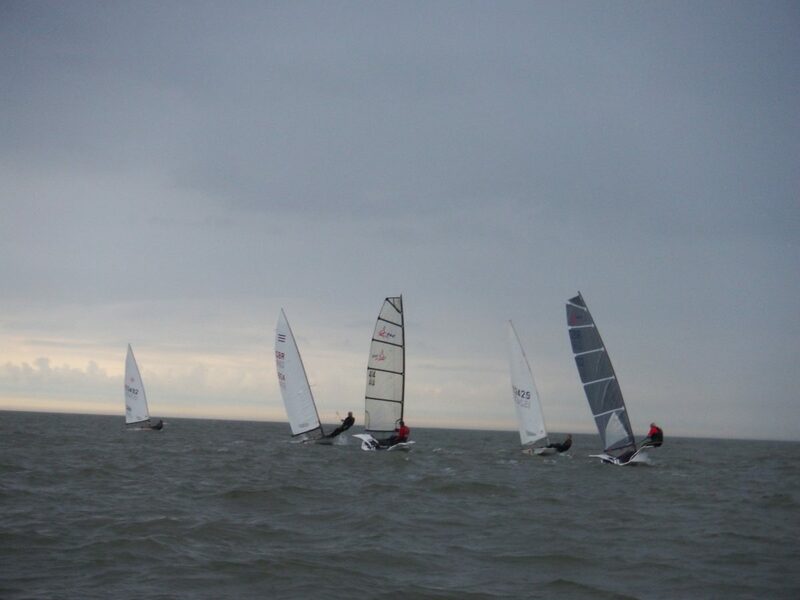 In the first race Chris and Dave in the RS400 edged away but with the sorter evening course the 2 lasers of Carl and Keith were close on Handicap. Despite Chris and Dave completing a 4th lap they only finish 2nd behind Carl by 5 seconds and 2 in front of Keith. With the Wind and rain up for the second Race and after a tight start Chris and Dave edged away but Carl kept in closer contact to take a second win. Everyone was now very wet so we headed in for Jacket potato, Beans and a well deserved beer. Many thanks to Phil and Lorna for a great evenings racing and a tasty supper.